Think about all of the movies being made lately adapting a comic book or graphic novel. The superhero movie has become it’s own genre, with every major Hollywood studio trying to create tentpole franchises on well known, and not well known, superheroes. The studios are even “re-imagining” superheroes who have been in franchises, or attempt at franchises, that have failed or petered our. 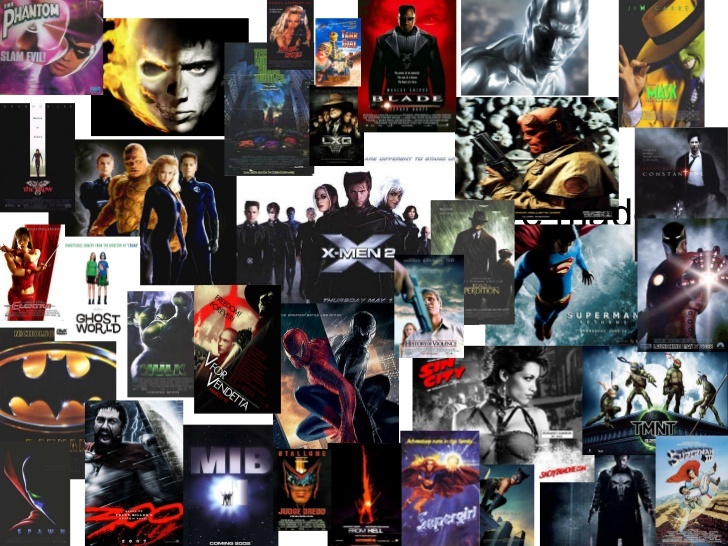 X-Men, SpiderMan, Superman, the Fantastic Four and Ghost Rider are some examples of current superheros that are undergoing attempts to remake their images. But why should they have to remake their image? Apparently, in their first go around, the producers failed to produce a media product the audience wanted. In the cases of X-Men and SpiderMan, this failing occurred in the third film. With Superman, an initial attempt at a re-imagining fell flat. With Fantastic Four and Ghost Rider, the first real adaptations did not sell well enough. But what makes for a good superhero movie? Now, I would not argue this should be the only consideration for producers of any adaptations. Of course they should attempt to make the best movie possible at that time, even if that means straying from canon. Naturally, their concern is to appeal to a larger audience who may not have even heard of some of the superheroes being adapted from comic panels to film strips. And the ability to be faithful to canon is impossible for many superheroes whose histories have often been rewritten to adapt them as time went on: a process known as retconning. However, I would argue that no producer should completely disregard the canon from which the adaption comes: especially for iconic elements in the visual, aural, characteristic or plot aspects of the superhero’s representation. The more iconic the aspect, the more the fans will expect it. Failure to adhere to these icons could be interpreted as disrespecting the material and the history of the superhero. More important than being completely faithful to the canon, producers should not disrespect the canon through their manipulation of the material or how they engage with the fans before, during and after production. Above everything else, disrespecting the material is disrespecting the fans. And in this day and age, when fans are interconnected via the Internet, share spoilers and criticisms with the speed of electrons, and are the financial force behind ancillary marketing profits, no producers can feel save if they do not respect the fans and the fans’ love for the canon. To disrespect the fans it to hamper the adaptation, and most likely insuring a re-imagining down the way.